Pope St. John I clearly understood this truth in 523. At the time, Theodoric the Goth ruled Italy, and he subscribed to the Arian heresy, which espoused that Christ was not the Eternal Word, but rather the greatest and first creature made by God. When Justin I, a Catholic emperor of the Byzantine Empire, enacted an edict against the Arians to compel them to surrender churches they occupied to Catholics, Theodoric threatened war. 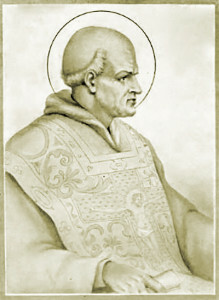 However, Pope John would not use his position as head of the Church to encourage the emperor to favor heresy. His commitment to the truth of the Catholic faith was too strong to jettison in the name of a false peace that would enable and justify untruth. He also counseled Justin I to use gentleness and discretion when it came to the Arians. In other words, he advised the emperor to be merciful in the only way possible — truthfully.